Eaton, Genessee, Grand Traverse, Huron, Ingham, Macomb, Saginaw, Washtenaw and Wayne counties have all adopted PACE (Property Assessed Clean Energy) financing. PACE provides a mechanism of financing energy efficiency projects to commercial, industrial, and multi-family property owners whereby the loan is attached to the property rather than the individual. Loans are repaid over the assigned term (typically 15 or 20 years) via an annual assessment on their property tax bill. This is the game changer! With the help of PACE financing, building owners may be able to install renewable energy projects (ie. : solar and wind) that result in a positive cash flow immediately. Energy efficiency projects that were once out of reach may now make good business sense. You typically pay nothing down. On energy efficiency projects, you must save more than you pay from start to finish. I.e., your semi-annual special assessment payments must be less than the money you save in reduced energy costs. Of course once you have paid off the special assessment, you get all the savings with no payments at all. The contractor guarantees the energy savings on all projects of $250,000 and up. 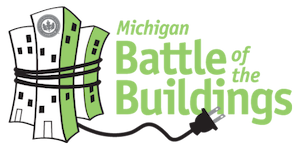 Learn more about PACE in your county at the Michigan Battle of the Buildings Energy Summit on Earth Day, April 22, 2015 at the Amway Grand Plaza Hotel in Grand Rapids from Andrew Levin, Managing Partner of Levin Energy Partners.